Panasonic has confirmed that the long-term Avatar 3D Blu-ray deal with 20th Century Fox was a one-off. 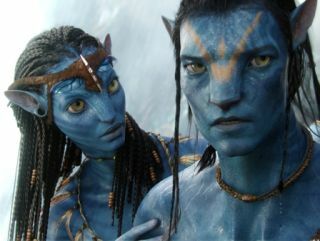 Many non-Panasonic-owning 3D fans are disgruntled by the fact that they won't be able to enjoy the little blue men in 3D in the comfort of their own homes until February 2012, two years after Avatar's cinematic release. Masayuki Kozuka, head of R&D for Panasonic's Media and Content Alliance, told Home Cinema Choice of the deal: "The market is more mature now, but during 2010 there was very little software. We needed an incentive." He also revealed that 20th Century Fox lured Panasonic and Samsung into a bidding war over the 3D release. Kozuka was keen to point out that it is not the manufacturers who are pushing this model, saying: "Studios come to us and ask if we want to take exclusive deals. We don't usually go to them." Exclusive deals may offer a short-term incentive to new 3D customers but a general release will surely prove better for all concerned in the long run; leaving segments of the market out of the 3D loop will only lead to bad feeling, more piracy and lower sales of 3D movies.